A man suspected of a carjacking at an Elk Grove car wash was arrested by Elk Grove Police. 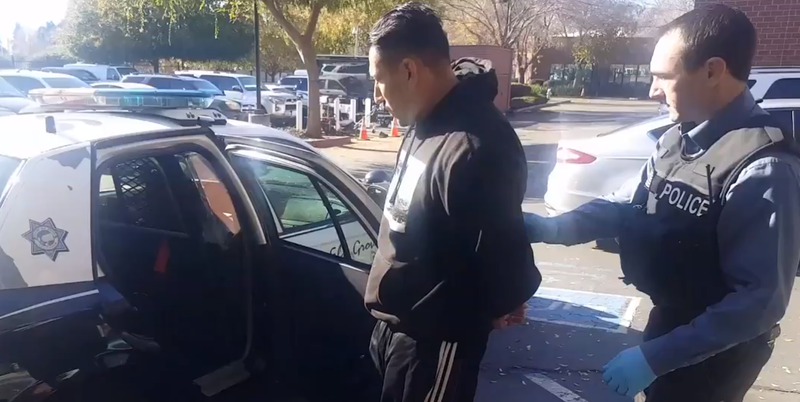 Marco Emanuel Flores, 33, of Sacramento, was arrested yesterday morning after investigators were able to identify him from surveillance videos taken at the time of the November 24 evening incident at Kelly's Car Wash on the city's west side. Flores allegedly assaulted the victim, stole his wallet, and drove away in the vehicle, which was recovered about two hours later. Flores is being held on two felony carjacking and robbery charges with bail set at $100,000. Arraignment is on Monday, December 10.